Offers: Official TSG Club Partner. More offers available on the Warley Park Golf Club website. 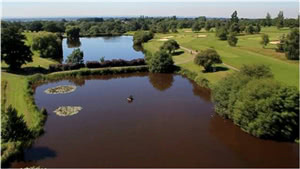 Set in very pretty Essex parkland, Warley Park Golf Club is one of the finest courses in Essex and the Home Counties. The course has 3 sets of 9 holes to choose from, all varying in style and layout, proving a test for golfer sof all levels. The majority of members tend to play the Warley front and back but we think the Childerditch nine is just as good, but club members, just dont like to cross the road(!). The course is maintained well and all the tee boxes and green are well prepared. In fact, in the summer months, the greens are too good! Warley Park is a very friendly golf club. Overall Warley Park Golf Club is a delight to play and as such, has hosted the TSG Masters event for the last five years. I wish I could like it but!!!! Having played, and enjoyed, the Warley course previously a few years ago (holes 1 - 18); the TSG Masters was played in April 2018; this time over the Childerditch 9 holes plus the Warley holes 1-9 . While the club hosted our event wonderfully I was very disappointed to find that we were allocated the Childerditch course among our 18 holes given the very poor state of the course fairways and rough. The greens were however in a very acceptable condition. While understanding that the very wet conditions of recent weeks makes on course maintenance difficult; it seemed to me that the club had made no effort to mow the fairways or rough areas to an expected condition during the recent week or so of good dry weather. The effect being to turn what is otherwise a good/fair challenging course into an unedifying unnecessary slog over the hilliest part of the course. Many times I found myself pushing my electric trolley through the many uphill areas because the trolley motor couldn't cope with the extra drag caused by the long wet clinging grass. Clearly some of our group played and scored well despite the above. All credit to those. Unfortunately on the day I allowed my disappointment in the course conditions to adversely affect my performance. Finally the biggest bugbear for me. Petty perhaps but why can't they use separate scorecards for each of the three course combinations? Much easier for recording scoring. Having 27 holes on the card is unnecessarily finicky. Also why don't they name each of the 9 holes more sensibly; eg Blue, Red, Yellow ( a la Farleigh GC ). Despite the above gripes it was an enjoyable day among great company both within our 4 ball and of the whole TSG fraternity. Great course but with some very tricky holes - for the first time players some blind holes which make for interesting second shots so better to play with someone who knows the course. Green fast so watch your step! A bit hard today as it as raining and very windy, especially playing the 9 holes over the road, but always liked Warley Park.